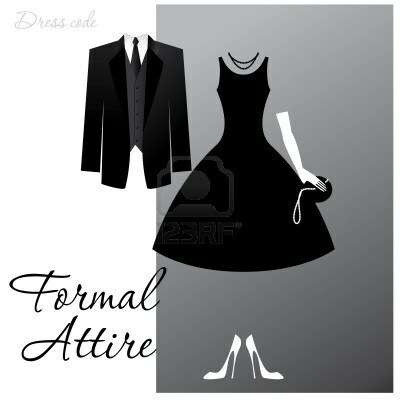 SEMI-FORMAL, FORMAL, CASUAL CHIC…WHAT’S A GIRL TO WEAR??? This time of year it is highly likely you will be invited to a special event; whether it be a wedding, holiday party, New Year’s Eve Gala, etc. And the stores are full of great festive options to make dressing up fun this holiday season! But when you get the invitation and the dress code says semi-formal or casual chic, suddenly we all get VERY confused. First, breathe and try to relax. As we always say there are really no fashion rules as long as you are comfortable and confident in what you are wearing. But we wanted to help simplify these mystifying dress codes for you. Take a look at our EHOW.com video segments, “FINE CLOTHES” (link below) and hopefully we will make dressing easier and more fun for you this special time of year. They work quickly and almost completely in sync, flipping through a rack of clothes while gauging their client’s reaction. A jacket made entirely of sequins is out; a black one-shoulder dress is a must-try-on. The stylists are dressed identically from head to toe, in taupe leather jackets, black shirts, jeans and knee-high black stiletto boots — you can tell them apart only if you look closely at their different jewelry. Twin sisters Mindy and Paula Shapiro, otherwise known as The Style Duo, come as a package, using their years of fashion knowledge to dress North Jersey fashionistas. The Shapiros are at Helen Milic’s Lyndhurst home, with some date-night outfit suggestions for the holiday season. The two have known Milic for a while now, having helped style her baby bump while she appeared on an episode of the Bravo show “Pregnant in Heels” last year. Now that her baby is 9 months old, Milic wants help dressing her post-baby body. The Shapiro sisters are shopping almost every day, sometimes with clients and sometimes just on their own to see what’s trending. They do a lot of shopping in Bergen County, at boutiques like GITO in Englewood as well as Saks Fifth Avenue and Neiman Marcus inParamus, where they were personal shoppers for two years until they launched The Style Duo in 2011 (online at thestyleduo.com). Being twins is what helped get them through the door of the fashion world. After graduating from Tufts University, the two did a fair amount of acting and modeling in California in the 1990s. A lot of industry and celebrity connections were forged on the West Coast, which helped them transition away from acting into fashion. They moved back East after a few years, then were hired as personal shoppers at Neiman Marcus, where they worked in tandem. Their background in Hollywood stuck with them, and after a few years they left Neiman’s to form The Style Duo and do more television segments (for the “Today” show and PIX 11 Morning News, among others) in addition to working with their clients. They know Milic’s taste well enough that they can bring over a rack of clothes and sort through them with her. “So what would I do with this?” Milic asks, holding up a sheer sequined tank top. Paula and Mindy immediately jump in with suggestions, interrupting each other and giving rapid-fire advice. “You could do like a jean or a legging or — ” Paula starts. “A leather legging, leather is really hot right now,” Mindy adds, holding a pair up against the tank top. “It would have to be something simple, because you don’t want too much with leather. Do you have a black blazer?” Paula asks. “It’s funny you say that, I just bought one the other day,” Milic says, pointing toward her closet. “And if it feels a little too open, you can just put a plain black tank top on underneath the sequined one,” Mindy says. And in less than five minutes, an outfit is formed. But the sisters are all about options. They go through the rack again and pull out a jacket covered entirely in sequins. “It’s a little too Michael Jackson-y for me,” Milic says with a laugh. The sisters don’t try and persuade her. Next Milic tries on the black, one-shoulder Diane Von Furstenberg wrap dress she liked. Paula gives her a pair of Miu Miu booties with a glitter heel to pair with it, which Milic says are “really comfortable for being 17 inches tall.” Milic checks the results in her bedroom mirror, and likes how flattering the ruching on the dress is to her figure. The hangers squeal against the rack and the suggestions start flying again as the Shapiros work in sync to pull together another look. Zippers, buttons and pants are soo last season. Leggings are the hottest way to stretch your cold weather wardrobe. From cool leather and vegan versions to designer and won’t-break-the-bank styles, it’s time to slip into chic (and comfort). We enlisted identical twins, stylists and fellow mamas Mindy and Paula Shapiro, also known as “The Style Duo” to show us how to rock the leather trend this season. So breathe easy this season, we’ve got you covered.